Sophronites excels in the Victorian On Farm Challenge. At this year's Red Poll On Farm Challenge, the Sophronites herd provided several good results culminating in the award of Champion Female with Sophronites Satara. She is a 4 year old cow with a nice 6 week old heifer at foot. See their picture here. New House is complete in 2010 and we have moved back in! Sophronites Red Poll Stud is situated in Pheasant Creek, Victoria, a small community near Whittlesea, about 50 kms north of Melbourne. The stud has been in operation since 1989, and has strong female lines derived from the former Penola Plains Stud from South Australia. It is now blended with the famous Red Cactus lines of Arthurs Creek, and with lines from Pentwyn Vale, Broomfield and Oakwood Studs of South Australia, and the Heathray Stud of New South Wales. The name Sophronites is derived from the name of a dark red tropical orchid, and this reflects Ian’s botanical interests. 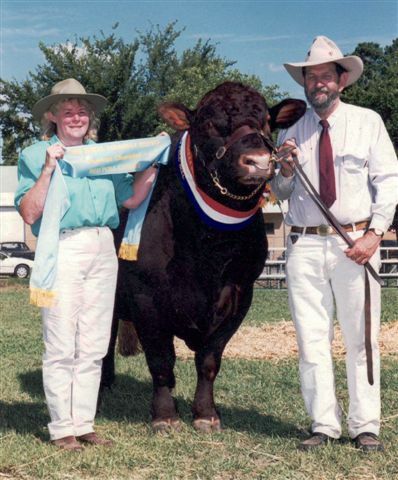 Having retired from Academic life at LaTrobe University in 1996, Ian, along with Nell, who retired from Teaching also in 1996, have dedicated their time in establishing a herd that is capable of producing what the Beef Industry requires and also, with the same animals, competing in Shows where there performance and structure are judged competitively against their peers. In the same year, we extended our holding with "Springfield" - 150 acres in Colbinabbin, in North Western Victoria (near Echuca) for cropping and overwintering purposes. Our breeding program now involves the use of artificial insemination and embryo transfer as well as conventional breeding methods. As well as selling our steers on the commercial market, our Bulls have been used commercially in Crossbreeding enterprises with Murray Greys, Herefords, Ayrshires, and Angus and are also being used in Stud and commercial Red Poll Herds in Victoria, NSW and Queensland. 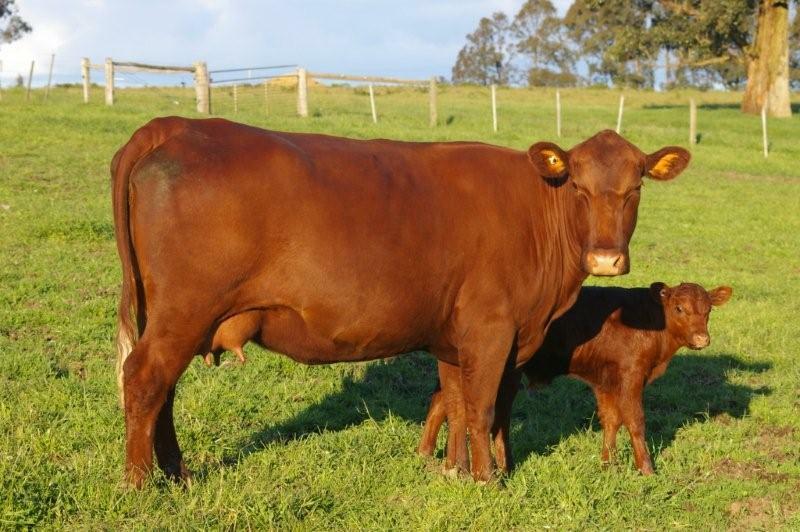 We have actively supported Red Poll Sales including Sales at Mernda, Victoria; at Lismore and Glen Innes, NSW and at Whittlesea, Victoria. 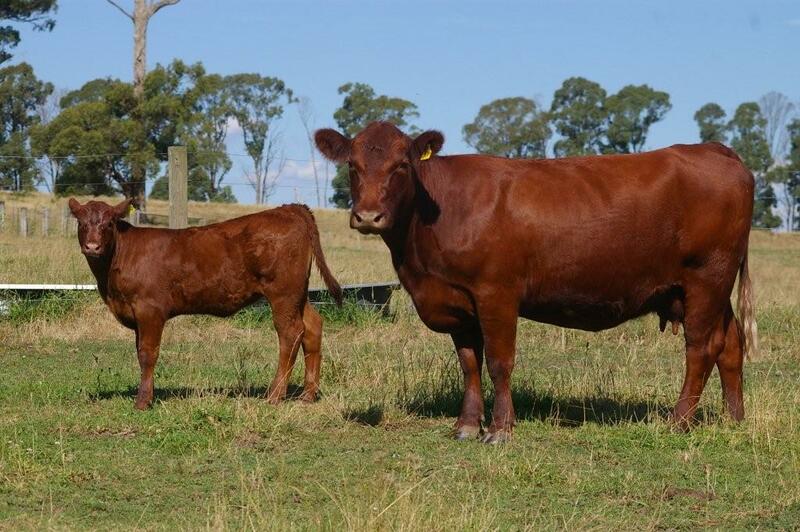 At some of these sales, we have achieved the highest price for a Red Poll. Nell and Ian have both supported the Red Poll Breed by holding offices in the Victorian Region such as Publicity Officer and Secretary, respectively, and Ian is currently (2007-2010) a member of the National Executive of the Australian Red Poll Cattle Breeders Incorporated. Our Stud currently has MN2 Status in the Johnes Monitored Accreditation Program and we have tested many of our stock using Genestar DNA technology to assist in our selection process.